The second edition of this course in Arabic of Egypt for beginners has been completely revised and updated to make learning Arabic of Egypt easier and more enjoyable than ever before. Specially written by experienced teachers for self-study and class use, the course offers you a step-by-step approach to written and spoken Arabic of Egypt. No prior knowledge of the language is required. What makes Colloquial Arabic of Egypt your best choice in personal language learning? By the end of this rewarding course you will be able to communicate confidently and effectively in Arabic of Egypt in a broad range of everyday situations. This pack contains the book and two 60-minute CDs. 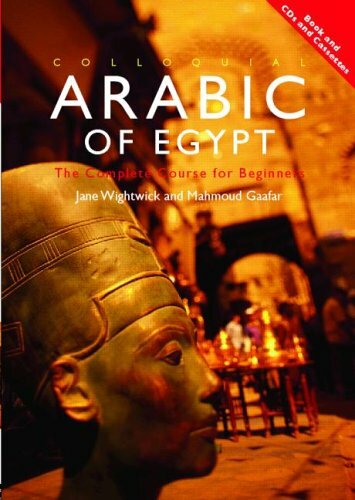 Recorded by native speakers of Arabic of Egypt, they are an indispensable component of the course. Wow,...it's so great to see this pretty work here from you,Ramonty..
thanks for your hard work every where! lemme ask you something?...have you read the book and listend to the CDs yet??!! if YES!..tell me what do you feel towards the Egyptian native language? Many thanks dear brother for your effort and this perfect post,i appreciat it. Thank you! It looks like the RapidShare audio is missing, though – if you have the time, do you think you could re-upload it? Great post, in any case. FF is still online, you can download the audio from there! Last edited by Monty; 10-31-2011 at 10:10 PM. Reason: FF is still online, you can download the audio from there! ibnqurany, only Disk 2 is deleted. Everything is fixed now. Last edited by arcadius; 09-28-2014 at 07:27 PM.